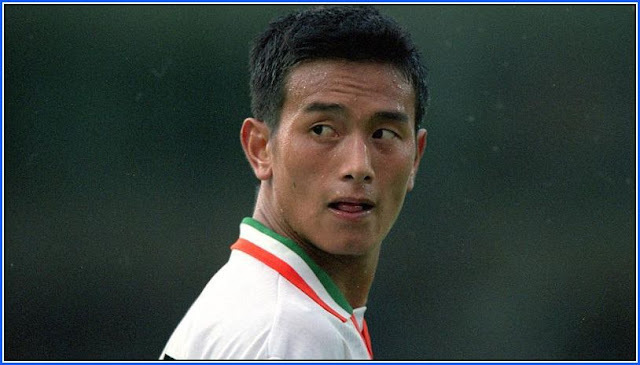 Former Indian football captain and working president of Hamro Sikkim Party (HSP), Bhaichung Bhutia on Saturday put two of his jerseys on auction to raise money for contesting Lok Sabha and assembly elections in Sikkim. The Himalayan state is going for simultaneous polls on April 11. Trying his political luck for the first time in his home state, Bhutia is contesting from two assembly constituencies. HSP has fielded 24 candidates. The state has 32 assembly seats and one Lok Sabha seat which HSP will also contest. Bhutia, who played professional football for more than 20 years, put the jerseys he wore for the country on an online auction. “A lot of emotions are attached to these jerseys,” he said over phone from Gangtok. On Friday, Bhutia filed his nomination for the Gangtok assembly constituency. He will submit his nomination papers from Tumin-Lingee constituency in south Sikkim on Monday. He will start campaigning from Tuesday, his party’s election symbol is a whistle. The former footballer said Tumin-Lingee and Gangtok are both close to his heart. “This marks my electoral debut in my home state. I will do my best for these constituencies,” he said. Bhutia unsuccessfully contested the 2014 Lok Sabha election from Darjeeling and the 2016 assembly election from Siliguri, both in West Bengal, for Trinamool Congress. HSP was formed on May 31 last year. “An act guaranteeing right to sports, loan waiver for farmers, free electricity in rural areas and a Central Bureau of Investigation (CBI) office in Sikkim will be our priority if HSP comes to power,” Bhutia said. Posing any kind of serious threat to Pawan Chamling, the country’s longest-serving chief minister who came to power in 1994, is going to be a Herculean task for Bhutia’s party. Chamling is also contesting from two constituencies. The main opposition party in the state is Sikkim Krantikari Morcha (SKM) headed by Prem Singh Golay. Lack of parking facilities and problems relating to trade licence are among the key issues Bhutia will raise in Gangtok. In Tumin-Lingee, he will focus on issues such as unemployment. “Whatever be the outcome of the polls, we will form under-16 football teams in both constituencies. These teams will play matches across the country,” Bhutia said.